Bob Mendonsa, BA ’88, his wife Julie, BS ’89, their two young children and a successful orthopedics practice represented the American dream, a life the couple had pursued since meeting at Baylor. But a month-long medical mission trip to Kenya, where Bob served as an interim orthopedic surgeon, would confront him with the kinds of suffering and poverty that had once seemed remote. His experience in a nation with more than two million orphans and an HIV crisis proved to be a calling, which he and his family chose to answer, to alleviate the suffering and convince other people to do the same. 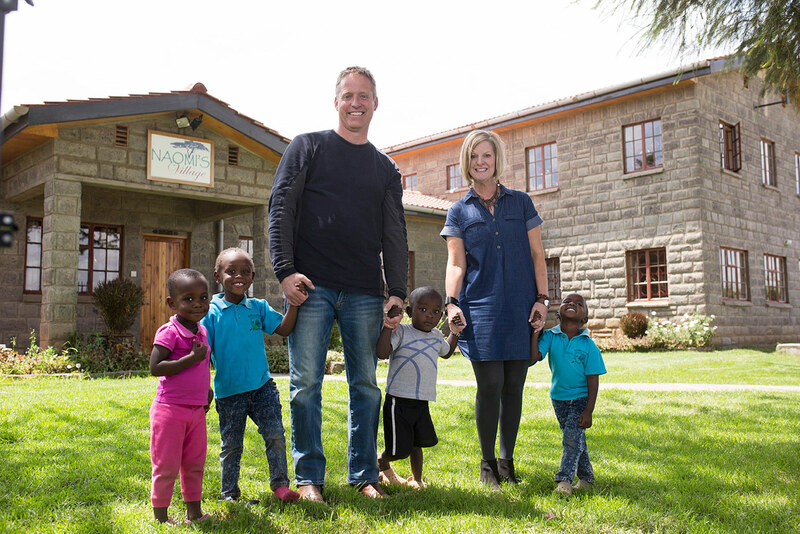 A decade later, the couple runs Naomi’s Village, a children’s home providing life-changing care for 68 orphans and counting in Maai Mahiu, Kenya. They opened the home in 2011, partnering with churches, donors and the local community to transform a barren, five-acre tract of land into an exuberant village filled with young children whose physical, spiritual and emotional needs are met as if they were the Mendonsa’s own children. Mere shelter would not suffice for these children whose stories are unimaginable—an infant found abandoned at the bottom of a latrine pit, a child who witnessed the murder of his mother and siblings by his father, and dozens of other heart-wrenching tales. In 2013, Naomi’s Village opened Cornerstone Preparatory Academy, which educates 540 students from kindergarten through 8th grade in a 30,000-square-foot campus. The school’s motto is “change starts from within,” which serves as a charge to both students and the staff who improve the future of a generation of children by instilling in them an awareness of and compassion for the needs around them, and the leadership skills and understanding to make a difference. To that end, the Academy educates children not only in reading, writing and arithmetic but also through service projects and courses that illuminate community needs, develop leadership and model ways to live out God’s calling. Many chapters of the lives of the children at Naomi’s Village and Cornerstone have yet to be written, but the calling to do something about suffering might very well foreshadow the work these students could do someday and, perhaps, have an impact far beyond what a family from Texas could ever imagine.